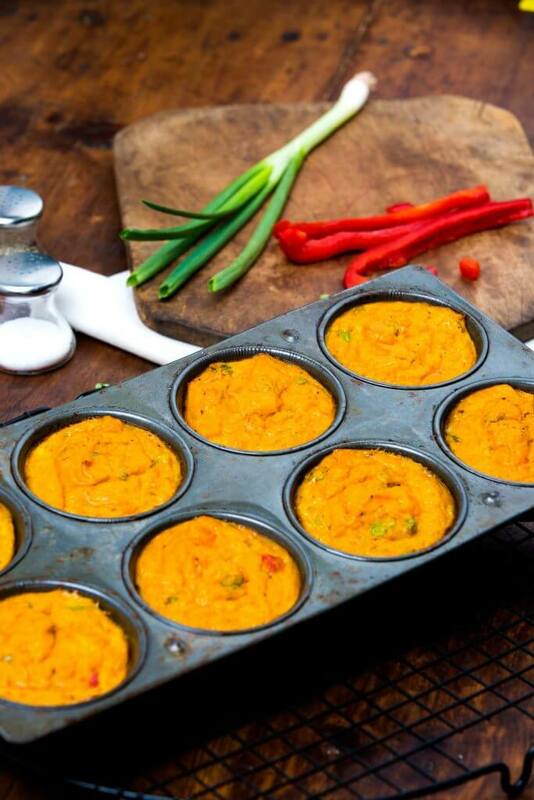 Preheat oven to 375° F. Coat a 12-cup muffin pan with cooking spray and set aside. Whisk eggs, garlic, curry powder, cumin, salt and pepper in large mixing bowl until light and fluffy. Add the mashed sweet potato and stir until mixed thoroughly. Fold in the red pepper, cilantro, scallions, and cheese if using. Divide the egg mixture evenly between the prepared muffin cups. Bake for 20 minutes, or until eggs are set. Let cool for 10 minutes. Unmold and serve.